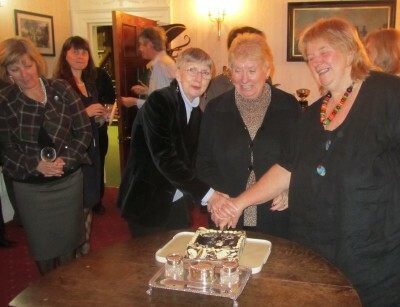 The Channel 4 programme Four in a Bed comes to Abingdon. Four couples who run Bed & Breakfasts compete to see who provides best value for money. They each stay with each other for a night, and judge each other. 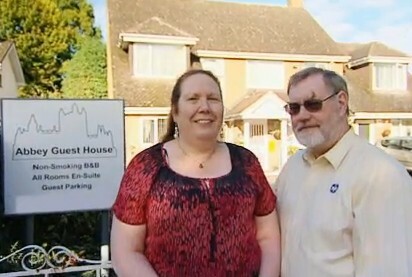 In the final programme they stay with the couple running the Abbey Guest House in Abingdon – both members of Mensa. The entertainment comes from the personalities and how friendly or fiercely competitive they become. The knowing docusoap commentary also make the programme fun. 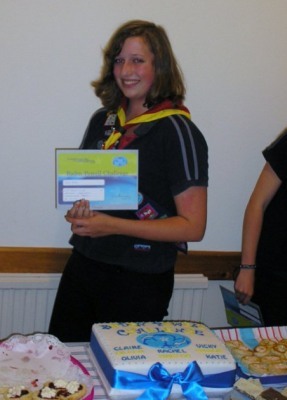 Vicky from Peachcroft in Abingdon is one of the few Guides chosen to attend the World Scout (and Guide) Jamboree in Sweden in July/August 2011. Each participant has to raise over £2000, making about £100,000 in total for the 36 scouts (and guides) chosen for Oxfordshire. That means a lot of fund raising activities: car washing, jumble sales, raffles, concerts and the like. The cost includes travel , insurance, the stay, all the activities, and helps fund trips for scouts from places like Papua New Guinea and Armenia who couldn’t otherwise go to this world event. So far there have been several meet up weekends to help prepare for this once in a lifetime experience. People’s Millions is a bit of a lottery. Good causes put themselves forward, and some are chosen to be shown on TV. The prize is supplied by the National Lottery. 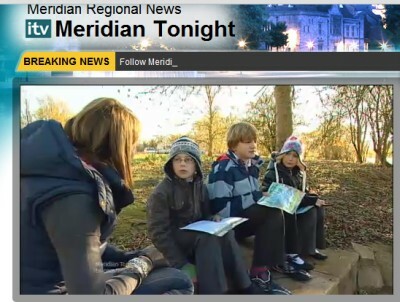 On each day of voting, two projects go head-to-head to win the public vote and secure £50,000 funding on local Meridian ITV. Today it was Thrupp Lake (aka Radley Lake) V A new place for music therapy. I don’t know the result yet, but in Abingdon we all thought Thrupp Lake was destined for destruction. Against all odds it was saved by some valiant campainers. So whatever happens it has done well. But the next stage is to make it a better place for wildlife and visitors, and so we await the result of the public vote. That money will give them a big boost. People can vote by phone between 9 am and midnight. The vote costs 10p on BT landlines, and more from mobile phones. 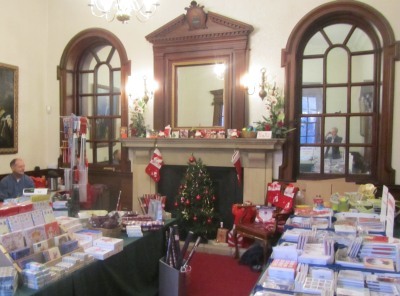 Charity Cards are for sale in the Guildhall. There are cards from many different Charities. There is also one of the special, Abingdon area only, postal boxes. The cost is 15p a card – same as last year. 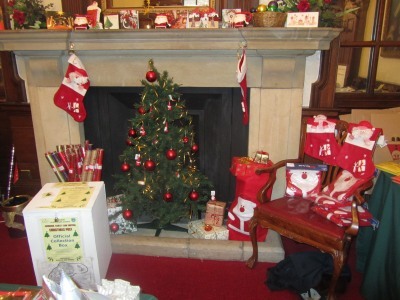 There are two big sorting dates at Christ Church, followed by deliveries. Guaranteed delivery by Christmas Eve. All done by volunteers from the Scouts and Guides. 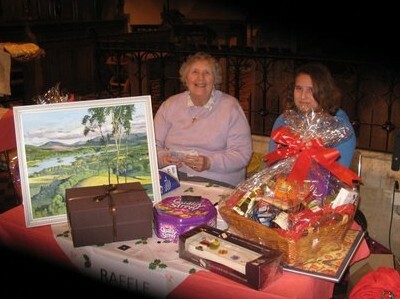 There was event last week to say thankyou to people who had worked at the museum – past and present. 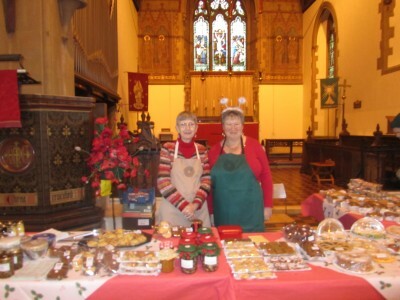 Some we will see again in different places doing other things -like at St Michael’s Christmas Fair yesterday.